Funding FEE Funding Fee may be waived for disabled veterans. 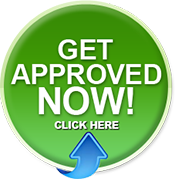 This entry was posted in Funding FEE for VA loans, VA, VA Loan, VA Loan REquirements for Kentucky, VA loans and tagged Down payment, Fannie Mae, fannie mae and freddie mac, fannie mae mortgage, Interest, interest rate reduction, Kentucky, Loan, Louisville Kentucky, Mortgage broker, Mortgage loan, payment assistance programs, United States Department of Agriculture. Bookmark the permalink.